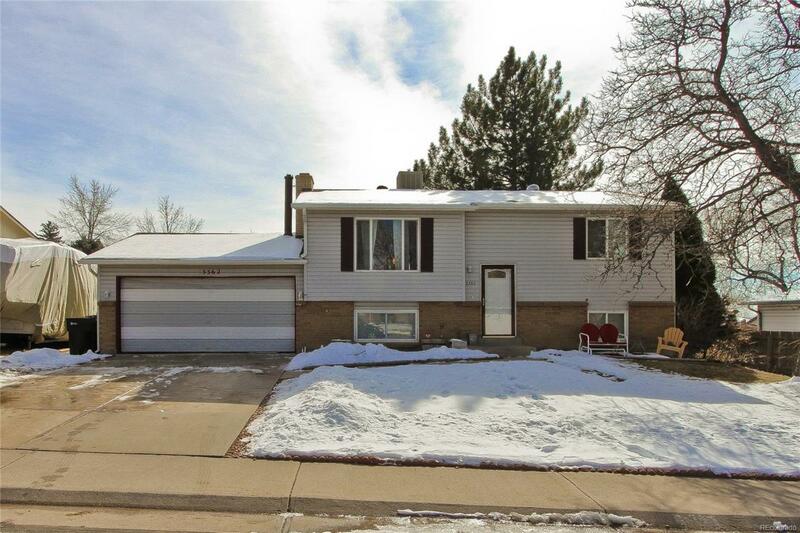 This bi-level home sits on just under a 1/4 acre lot with a spacious back yard, nice back deck, and is just steps away from Woodglen Park and Elementary School. Lots of home for the money!! Bright and cheery kitchen, 4 beds and 2 baths, plus a large recreation room! Attached 2-car garage. Newer furnace, A/C (2017), roof (2011), and some windows. Amazing location that is close to everything including Carpenter Recreation Center and the light rail stop coming to 112th and York! This home is priced to sell!